Buy GDUBTV a Coffee. ko-fi.com/gdubtv - Ko-fi ❤️ Where creators get paid by fans, with a 'Buy Me a Coffee' button. I'm an entrepreneurial YouTuber that loves immersive digital storytelling. I started GDUBTV in 2016 with self-build #vanlife videos and have recently begun to diversify my content to include tech reviews and general videography tips and tricks for beginners - I also love coffee!! Welcome to my Ko-fi Page. If you enjoy my content, please consider supporting what I do by buying me a coffee. Thank you. Secured Payments. 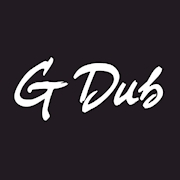 Support goes to GDUBTV's account. Upgrade GDUBTV to a yearly Gold Membership with a one-time payment.